I bought this ion a few years ago and just whent nuts on upgrades. It cost me a total of $1500 or so. Rampage board, Fire Bolt, QEV, all the goods! To many to list. Man I would Like the plans for that! It looks like a kick A$$ gun. Join in and write your own page! It's easy to do. How? 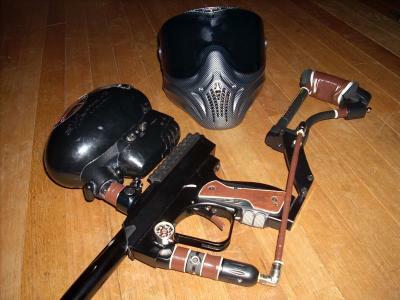 Simply click here to return to Paintball Gun Picture Submission.